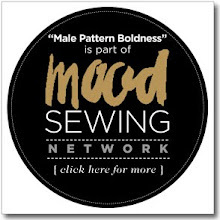 male pattern boldness: Streaming Online Sewing Classes -- YEA or NAY? Readers, have you ever taken an online sewing class? My hunch is that many (if not most) of you have. The past few years have seen a proliferation of sewing instruction on the internet, as well as a multitude of platforms that offer them. Originally these were individual classes one could purchase and stream for a set period, with downloadable materials included in the price as well as instructor feedback. A few platforms that I am familiar with are Craftsy, Creativebug, and Skillshare. The popular model today is the monthly subscription service: you pay a fixed amount per month and you can choose any class offered. (Crafty's subscription service is called Blueprint). In addition to these sites, there are also individual classes available at Pattern Review and Threads Magazine. Susan Khalje currently offers a limited number of online sewing classes on her website. There is also a huge amount of online sewing instruction available on YouTube. Here's one of the more professional looking channels that I found recently, Made to Sew. And here's a free intro to sewing from Gretchen Hirsch. Could there be too much sewing instruction available online? I find the choices to be overwhelming and I wonder if a shakeout down the line might be inevitable. When I purchased my first sewing machine, I depended on YouTube videos to figure out how to wind and insert a bobbin; I knew absolutely nothing about operating a sewing machine. I also relied on sewing books, the Pattern Review discussion forums, and the aid of a long-distance sewing buddy whom I met via Pattern Review. There are still lots of in-person classes available, schools and instructors who teach privately (including me!). Four years ago, I started taking classes at Fashion Institute of Technology (FIT) -- for me, nothing beats the in-person experience. Naturally this opportunity is only available to those living in or near New York City. People still travel great distances to study with Susan Khalje, Kenneth King, Thomas Von Nordheim, and others. Aside of the benefits of a live instructor, it's fun to meet the other passionate sewers taking the class. But it's undoubtedly much more expensive than subscribing to a site like Skillshare. As far as online instruction, I did once sign up for a Craftsy class (lured by a promotion) that I never watched. Other than that, I have not availed myself of any of these streaming platforms. I have been approached to teach on them, but so far haven't jumped. 1) Have you ever subscribed to a website that offered streaming sewing (or other craft) classes? How did you choose the particular class and what was the experience like? 2) Other than the large number of class choices, is there any downside to online sewing instruction? Could it negatively impact the number of in-person sewing classes offered around the country (and indeed the world) or, perhaps instead, help to promote sewing instruction in all its forms? 3) Finally, if you've taught an online class yourself, are they a good deal for instructors, in terms of compensation and time spent offering follow-up feedback to students? UPDATE: This post from the Craft Industry Alliance blog largely answers Question 3. Labels: sewing basics, social media, YEA or NAY? I have taken a few. I must admit as someone who has sewed for over 50 years now, there are few that interest me. I took one on sewing jeans, but frankly had no AHA! moments. It was interesting and thorough, but not earth shaking. I could see, however, that there are tons of classes that would help a less experienced sewist pick up useful ideas and techniques, and help hone their skills. I have not subscribed to an online streaming service but have taken several online classes with Brooks Ann Camper who I found via social media and really liked her style and approach. The classes are video based but she merges those with a Facebook discussion group for personal interaction and questions. The videos are available forever and I've used a few as reference over and over. I neither subscribe to an online streaming service nor take video classes. But, I am old, and set in my ways -- and it is far easier for me to prop a book open near my sewing machine and refer forth-and-back to it, than to keep stopping and starting a video. Yes! Ditto on the "old" and liking a real live BOOK to refer to, tho I must admit I love Youtube videos on SPECIFIC items - like making Dog Collars etc. From me a big yay!! I haven't taken that many classes online or in person, but I found them really useful as there aren't that many more advanced classes where I live other than if you go seek advanced certification on sewing and pattern drafting. I'm really loving Bluprint because instead of thinking about it as "taking a class" I can just treat it as "watching the Sewing Channel". I don't feel obligated to get anything out of it and I can just watch for entertainment and picking up tips/techniques/etc. I've found some great resources in the PDF class materials and there are definitely a few classes I will go back to and watch again when I'm ready to tackle specific projects. Would love to see you teaching a class BTW. I bought a few Crafts classes that I really enjoyed. I’ve used YouTube tutorials as well whenever W can’t wrap my head around seeing instructions. I tend to rely on Angela Kane’s YouTube videos. She’s so good I’ve even considered signing up for her online course. Other YouTube tutorials haven’t been as reliable. What I like about the videos is that not only can you see how something’s is done but you can rewind and stop as you see. Autocorrect is probably Siri's evil twin. I've taken a couple. I tailored my first jacket (and tailored a coat) with Gertie! It was useful to be walked through, and I liked the old format where you buy the class and can use it forever. I don't think I would subscribe. I don't want to always be doing sewing videos, I'd rather use it for a specific skill and then move on. I have never watched any of the sewing or knitting classes in my Craftsy library, but I have learned so much about spinning from Craftsy courses. I had two spinning lessons in person before my teacher went on an extended overseas holiday, so I took the beginner's spinning class taught by Amy King and was then able to spin competently without further in-person classes. Craftsy has courses by a number of prominent American spinning instructors, and I have bought and watched quite a few of them. I much prefer to buy the class; I have no interest in (or budget for) yet another monthly subscription. I bought and watched many Craftsy classes before they went to the Bluprint model. Most of them have been very good... I learned shirtmaking skills from my first class with Pam Howard. I spent quite a bit on Craftsy so the Bluprint deal I got is much less money. I can watch classes that I have a mild interest in without buying the class. There is little to no live sewing instruction near me. I do have many books, but watching someone demo a skill is helpful to me. So I vote thumbs up for online classes. I loved the Pam Howard class. I was not a new sewer but still fairly much an Advanced Beginner sewist when I started watching videos. I watch occasional You Tube videos and find them of mixed quality. I have purchased many Craftsy classes and continue to watch them and refer to them. They mostly all "very well done", with a couple I would just say "well done". The teachers are impressive. The Craftsy videos are my library. I have some books, but have rarely referred to them. I have not tried other class formats, other than dabbling in Fashion University. Their videos are much shorter, cover smaller chunks of information at a time. I also agree with Jason about "watching the Sewing Channel". 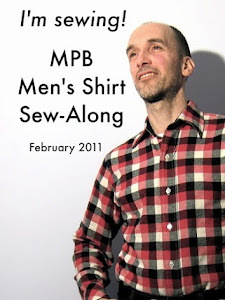 I sometimes run the videos while I am sewing just for fun. I've enrolled in many Craftsy classes and a pants class by Susan Khalje. I was so excited at the time. Most of these I have not watched--sadly--so much money wasted. I need hands on instruction. Online classes are convenient but are no substitute for face to face interaction--for me anyway. I have not succeeded or improved my sewing skills by purchasing these classes. I've bought a couple dozen Craftsy classes, and was satisfied with each (two were bought for a friend, and I had less interest in the courses). Useful, informative classes. Haven't bought any in some time because I've run out of classes which interest me, and perhaps my skills have developed a bit. . . . . I've noticed or been solicited by numerous others whose goal seems to get me to spend money. The professional quality of those was generally lacking. . . . I regularly read "Cutter and Tailor" (free) http://www.cutterandtailor.com/forum/ and frankly it is beyond my skill level, and thus more difficult to read. . . . I watch always "Gentleman Jim McFarland's" YouTube https://www.youtube.com/channel/UC7KsrhaCDajhTPQ1sTu2IdQ and am impressed. McFarland, now pass retirement age, has been a professional tailor since age 18.
. . . . McFarland aims at a more budget-oriented crowd of a certain economic group who -- like most everyone else -- wants to look as spiffy as possible. He says flat out THE consistent money to be made in sewing is in alterations, though he does sew custom made garments. That's his market. A short video from him and I knew how to shorten the sleeves on a lined wool sport coat. McFarland shows how to narrow the shoulders on a jacket, something most say can't be done. . . . . I've looked at Kenneth King's Faux Fur DVD, but the potential coat to be made (for a friend) never turned into an actual coat to be made (decent faux fur can be a bit pricey, generally about $40/yd for okay stuff up to $150/yd for unusually beautiful stuff). For me, money-making sewing has been canvas and sail repair on boats. My garment sewing generally has been for me, family, and friends. I took a in-person class at Mood, and didn't learn a thing I didn't know already. I went with a friend, who was a raw rookie, to her (advanced) sewing class at Joanne's Fabric, and the instructor was glad to have me show some there how to thread a machine, how to press rather than iron, why a bird's nest under the fabric occurs and how to clear it, and what Clover Clips are and now to use them. By and large, I think the greatest mistakes beginners make are not cutting the cloth straight, watching the needle go up and down, and sewing too fast, each of the last making the seams crooked for the newer sewist. I have purchased many Craftsy classes but not watched to many. I search YouTube to study techniques I'm not familiar with. One thing I got much better at after watching online was the use of the rolled hem foot to sew very narrow hems. And one time I asked a Facebook friend in my head to help me with a fish line hem. She actually made me a video & messaged it to me on Facebook! I love all things online! Furrer patternmaking classes. They are the best option I've found for learning for where I live. I have purchased several Craftsy classes and like most of them. I purchased a couple classes from Craft Daily because they featured Cynthia Guffey. I recently signed up for Bluprint and play it when I am in my sewing room working. It’s like having a sewing friend in the room with you. I have also taken in person classes through the University of Rhode Island’s extension program which offers a Master Seamstress program. I like both types and get different things from each kind. I have LOTS of Craftsy classes-sewing, quilting, knitting, crochet, cooking, spinning, painting, and more. I also have my own little library on the same topics. I’ve taken 1 and 2 classes with Kenneth King and Gail Yellen at SewRight in Oakland Gardens. I recently joined Susan Khaljie’s online sewing club. Have I watched/ read everything? No. Some I have watched several times, e.g. Susan Khaljie’s Couture Dress class and some of Suzy Furrer’s, and K. King’s classes. Some I watch bits and pieces of. Some I bought when I returned to sewing after some years, but have since outgrown. Do I regret buying them? Not at all. As long as Craftsy doesn’t go belly up and I lose my classes, it’s all good. I can access what I want when I want to/have time to. I’ve bought several Craftsy classes from before the Bluprint times. I’ve been happy with many of the classes - I’m enjoying a Threads class now, and anything with Kenneth King is amazing. I’ve been disappointed with the quality of the embroidery digitizing classes - I’ve found an independent online course for that which has been fantastic (more useful information in the first lesson than in all of the Craftsy Digitizing classes put together). I feel like it doesn’t make sense to subscribe to Bluprint until I finish my current classes, but I also feel like Bluprint could be a great way to expand other craft and hobby skills (I’ve been wanting to take a photography class but not pay the stupid high price tag) or a way to check out instructors before investing $20+ in a class. I also treat it somewhat like “The Sewing Channel” - I watch while I eat breakfast or lunch and pick up tricks to try later, and there are some classes I refer to as much as I do some of my sewing books. What’s nice is the online classes also have modern tools and tricks that may not have existed at the time of writing of many of the sewing books. Doesn’t mean the classic way isn’t still good, just means I like having options in my skill set. So I guess, to end this long ramble, I like online sewing classes, and I’m thinking I might go from the single class model to a subscription service because it’ll let me learn what I want to know now, rather than waiting for a sale to buy a class. I don’t think online classes will ever take the place of in-person learning, but I do think they are an affordable option for those looking to start something new or improve their skills. I don’t know that the market will sustain as many options as we have now, but it is hard to predict what will happen in the future. I love, love, love online classes, especially since I have a crazy upside down schedule that makes it difficult to get into a shop during normal business hours. I was going to say I've only done one, but I should amend that: I have bought a couple of classes and only 'done' the KD King Jeanius class. By that, I mean I absorbed it and acquired a set of insanely useful skills I use all the time. I make pants because of this class. Checking my Craftsy account, I have purchased and watched other ones I just don't remember. Learning online with classes you can repeat and pause is a great gift, but I tend to use the sewing videos on YouTube like a fun channel to listen to while I'm working and only really pay attention to the home improvement ones. Which is a craft skill! Not burning down my house with poor electrical work is a super great skill. Replacing faucets, tuning up my sewing machine.....just not sewing. Hm. I have bought five of six Craftsy classes, and worked my way through three of those. I haven't gotten around to the others yet. I liked the ones I've done, especially the Alabama Chanin ones. I doubt that I will subscribe to Bluprint; I don't have that much sewing time anyway and there is no way I would use it enough to make it worth a monthly subscription. I'd rather buy a class and work my way through it from beginning to end. I'm a little bummed out about Bluprint to be honest. I am afraid that the content will become much broader but perhaps lacking in depth. Some on Pattern Review were saying that the teachers' income has been cut quite a bit by the subscription model. I don't know if that is true or not, but they seemed pretty sure about it. I've watched free youtube videos, more to see what people were making and not for sewing techniques. If I need to know how to sew something, I prefer looking it up in one of my sewing reference books. I have not taken an online class. As to in person classes, I have not attended any since one semester in 8th grade and another in high school, both mandatory. My best learning is done from printed words and line drawings. Of course, good old trial and error works wonders. Would certainly jump at the chance of some time with one of the well known, excellent teachers out there but they are all too far away. I have taken in person classes. I didn't really HAVE to take them, but it was so great to be around other people who love to sew. I have also learned almost everything I know about sewing from the internet. I have used Craftsy classes, blogs, YouTube, and some FB groups. Of course Instagram is a source of inspiration as well. I think there is room for all different types of learning. It is very hard for me to find classes near me that meet my needs. I live in a more rural area and they aren't available. If I do go, I am looking at a substantial drive. I am just so glad there are other people who love this crazy sewing thing as much as I do out there. Many people just don't get it. I have never taken an on-line sewing classes as the nuns taught us the basics in school and it went on from there. I do look up the odd tutorial for crochet on you-tube and found Ann Ladbury clip/tip on bound buttonholes absolutely brilliant (clothes that count 1960s BBC archive). I did teach basic sewing for a few seasons (free classes in a community sew room) and I was surprised so few knew the basics and and more surprised that a good few wanted to know how to sew but didn't want to go through the learn part as it was like too much hard work - It became too surreal for me in the end! I have taken a number of Craftsy classes from the early days of Craftsy. Most of them I enjoyed, a few I had to use the "money back guarantee" that they had at the time. I am not sure if they still have that. I think online classes are great for people who can't get to a classroom setting for whatever reason. I will occasionally go back and watch one of the classes again to refresh my knowledge of the skills or process that was taught. I have a Craftsy "stash". Probably need to start viewing and making things. I'd already been using YouTube for tutorials, mainly for quick technique hits in knitting. When I first heard about Craftsy, checking them out, I saw the free mini-courses. Took one to see if I'd like the Craftsy online format. I did, then felt free to browse my areas of interest for purchase. I've since bought a number of classes (especially when they have sales), but only viewed a couple. Darn Real Life getting in the way! I like the watch-when-you-wish format, and the replay factor. The few times so far that I've posted questions, the teachers have responded promptly and thoroughly. I am comfortable learning from books, but also like live instruction. It can be so helpful (and fun!) to converse with an instructor and the other students, and *seeing* a method demonstrated is wonderful. I'm fortunate in the availability of local classes in my area of interest, but that doesn't mean that some particular topic is being covered at the level I currently need it. Much of my online learning is focused topics (making jeans, handling fabric under layers, dealing with bust shaping in knitting sweaters, etc). YouTube and Craftsy have been perfect for this. I've never been enamored of online or software subscriptions. Most of the ones I've encountered so far cause you to lose all access to the material if you drop the subscription. Having grown up with newspaper, magazine, etc, subscriptions where you still have the issues already acquired even if you drop the subscription, the online approach is a No Go. That said, the idea of using a Craftsy subscription as the video wallpaper is a fun idea. If I didn't already have chosen video wallpaper, it might be worth a try. The mention that the subscription model may be costing the *teachers* income is one more reason for me to avoid it. I'll continue to buy my courses when interesting topics come up. I was willing to plunge in and try classes from teachers I didn't know. But definitely I pay more attention to teachers I do know, like Betzina, or King. I've seen now some classes that I took live from knitting instructors when they visited my locale, done up as Craftsy classes. I don't need to buy those, but look forward to more from my favorite teachers. Thanks for the mention of Creativebug and Skillshare. I hadn't run across them but will check them out. I have purchased a number of Craftsy classes in multiple interests (sewing, knitting, weaving, jewelry, gardening). I have watched most of them, but some are skimmed and some I just haven't gotten to. I appreciate the watch-when-you-can option as I have such a busy schedule it's hard to find that watching time. So that's a definite benefit. Because if I can't make the day/time an in-person class is offered, then there's no other option. Plus the ability to go back and watch again and again is a real big benefit to on-line. On the other hand, while the online teachers do respond to questions, in-person will probably always be better for that kind of immediate and personal interaction. My sewing skills are advanced enough that there aren't too many classes that appeal to me, or that I feel I will gain enough new info to justify the purchase (in-person especially can be pricey). But in those areas I'm less skilled in (like weaving) I find lessons very useful, and totally worth it. This is true for in-person and online. For me, with my crazy schedule, online will be the more frequent choice. But if an interesting subject, exciting instructor, affordable cost, fits in my schedule class were to be offered... sure I'd take it! Never taken an online class, but I teach live in my business. We have four teachers and teach sewing every day of the week except Sunday. We take a maximum of six for most classes so everyone gets well supported. Most of our students have dabbled in online but they choose a real class because they either don't know enough to know what to make of an online class, or they know a lot and want their gas backfilled specifically and to talk things through. I love teaching one on one for this reason, I love having my brain scoured for information by someone really keen to learn. I have over 60 Craftsy classes. When I re-entered sewing a few years back, I wanted to work on better technique and real skills, like pattern making and couture techniques. Some of the classes were extremely helpful, and some teachers were considerably better than others. Some classes were a waste of time and money. I like the ability to refer back to a certain section of a class during a project. My sewing and fitting skills have definitely improved a lot as a result of watching Craftsy classes. I have gifted classes and recommended the best ones to friends. I'm "old" (74) and love Threads Magazine ( I own all but about 3 issues of the magazine), books, an occasional You Tube, and have taken several Craftsy classes. My favorite instructor is Janet Prey and I've taken all of her classes and review them often. I’ve bought and watched at least 50 Craftsy classes, most of which I have found helpful. One of the best was an upholstery class that dissuaded me from ever wanting to undertake an upholstery project. So I saved a fair amount of money in wasted fabric and a huge amount of aggravation by learning this lesson early. I’d like to get instruction hands-on but work schedules have interfered. I’ve bought a couple of Craftsy classes and learned to sew bras that way. I have a jeans sewing class from Closet Case Patterns and a shirt sewing class from Cashmerette. All these were really helpful and I enjoy the illusion that I’m sewing with a buddy. I’ve been sewing for nearly 50 years but never made a bra or jeans so having the classes was really fun. I’ve thought about the Blueprint model but not sure I’d use it enough to pay for it monthly. I have purchased some classes from Craftsy, and I think of them more like a demonstration or lecture/seminar. I don't refer to them, but I like that they're there in case I have question, typical about course materials, which are a nice reference tool for specific topics. As a teacher myself, some of the delivery has made me cringe, but in other cases, like in one of Kenneth King's classes, it's delightful. I honestly can say that I've learned more from YouTube because of the number of videos in Spanish about industrial machines and techniques, but it's nice to have Craftsy classes with their depth of detail about specific garments, for example, available. And, Peter, as a long-time follower of your blog, I'd certainly enroll in your class if you were to take the online plunge! I have bought a few classes but don't seem to have the discipline to watch them very much, especially on technical topics ("decorative seams") that aren't related to current or looming projects. I rely on my sewing library of carefully edited books, including vintage ones from the 1930s and 1940s, to clarify pattern directions and help me with techniques. Occasionally I consult free YouTube videos for my knitting machines, but the books give me more time to observe and work at my own pace. Sewing is usually a solitary effort, so the socializing joys of classes in person are pleasant, but most of us want to also take away a skill or understanding we can use to finish a project at midnight before the finish line. My sewing students enjoy freedom to work at their own paces, as I do too. By digitizing, videotaping, or otherwise recording a lesson, one can stop the recording, but I am not sure that is a help to real learning that is retained. Then there is the cost. I am suspicious of monthly subscriptions as they are always advertised for the monthly fee, not for the cumulative cost of a complete series, on, for example, a tailored coat, or other major project. I'd rather spend the money on fabric! The last "real" in-person class I had was in high school, otherwise it was what Mom taught me. The chances of the well-respected garment sewers/tailors/teachers giving classes in my area are nil, and currently the chances of my traveling to them is even less. I've watched some YouTube videos, especially for things that don't translate well to drawings in books and depend on correct motions to work, like knitting. I have not done any for-pay streaming classes for a few reasons. First, except for well-known teachers, I'm never sure about if the teacher knows their stuff or not. Second, my internet speed isn't all that great for streaming video. Third, and probably the biggest, is how many sewing books I have that I can prop by the sewing machine. I've bought them, they're mine, they won't disappear, I can write in them. Fourth - if I put on a tutorial video, I have to watch that, I can't be doing anything else at the same time other than what the tutorial is about. If I'm playing a zipper insertion tutorial, I can't do anything other than be inserting a zipper, otherwise I don't pay enough attention to either and costs me twice as much time. Interesting article! it echoes my thoughts about the new Bluprint model. I have many purchased classes, there haven't been any new classes in the past few months. I will now put on Craftsy classes on bluprint and let them run so the instructor gets a few pennies out of it! Our public library just made Creativebug classes free. I haven't tried it yet, but I plan to. I have a wide range of interests - sewing, knitting, spinning, embroidery/needlepoint - so a Bluprint subscription is perfect for me. I can scan through a bunch of courses and then come back to the ones I really like. The spinning courses have been the most helpful, as it's hard to find in-person classes for that. 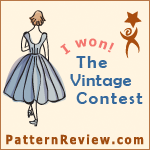 I've purchased several of Sara Veblen's classes on PatternReview. 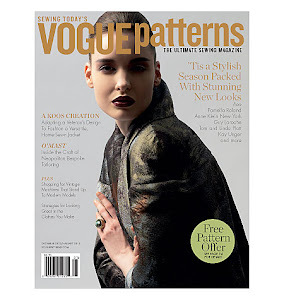 Alexandra Morgan has a great series on pattern adjustments that I subscribe to by email. I would love to take some in person classes for the hands on training and camaraderie, but those are frequently too expensive or inconveniently scheduled for me to take advantage of. I've purchased several Craftsy sewing classes, and I've found them really useful and valuable. However, I haven't yet made the leap to Bluprint, because I'm not really interested in some of the additional content that I'd be paying for with a Bluprint subscription. I also subscribe to Creativebug. On the whole, I've learned more from Craftsy classes than Creativebug classes. 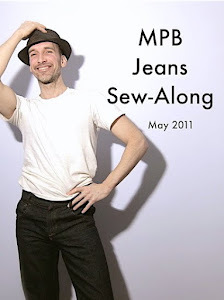 I'm a huge fan of "Made to Sew" videos on YouTube. (Aneka Truman's instruction is exceptional, IMHO.) I also follow sew-alongs on blogs, YouTube vlogs, etc. Still, I'd love to take live, in-person garment sewing classes, especially if it would allow me to connect with and befriend with other local garment sewists. Unfortunately, there is absolutely NOTHING offered in my area. (I know, because I've been searching for years.) All of my local fabric shops (and even the local JoAnn's) sell 95% quilting cottons, and their classes and sewing meet-ups follow suit. So, I'm truly grateful for the online community and its blogs, vlogs, classes, and online fabric shops. Long time reader (and appreciator!) but first time commenting...been sewing 30+ years and have been teaching sewing for the last 10 of and on. I have taken around 50 Craftsy classes and own about a dozen plus Kenneth King’s copying a garment from PR. I can’t justify subscription costs-I’ve seen all the Craftsy content I’m interested in and as an earlier commentor pointed out, with the added variety of topics it seems the depth is dwindling. The Suzy Furer classes are worth purchasing and I would take her course if I lived near SF and had that kind of time & money but in the meantime, I’ll continue to refer to the Craftsy notes I took and books I’ve acquired. No local certificate programs or even advanced classes here in Phoenix I’m afraid. Yay to online classes for me but only if I can own them forever. I took several private classes with an instructor, but had to drive an hour each way to get to her. It was initially great as i had never sewed before and it got me started. I then bought classes on craftsy and became addicted. However, I watch them over and over again, but have never really completed a project from them. Each time, I get an ah ha moment though. For me, the most difficult part is living in a rural area with no other sewists near me to help. The closest garment fabric shop is well over an hour away and seasonal. This is quilt country. So even though I have high aspirations on sewing a wardrobe of couture, I struggle at fitting since it is hard to fit on oneself. I've been thinking a lot about what the web was like in the 90s, and how it's slowly been turned from a leisure space into a work space. In the 90s, people shared their learning for the love of it, and put up photos of what they made for love as well. The internet had not yet been successfully monetised, we didn't have Etsy or Ravelry. Nor had it been transformed into an effective branding space - no Instagram, no Buzzfeed, no 24/7 news cycle. Even getting comments was impossible. But paradoxically, this was nice. It was quiet, non-competitive, hopeful, utopian. All the really good tutorials and resources you find online are *old*. This is when people created and uploaded things without expectation of reward, and this meant a better quality. Does the internet need another attractively-photographed tutorial on how to sew a welt seam, with the text crammed with SEO terms to attract hits...? It's hard to find the good stuff, because there are so many bloaty content-farmed sewing websites cluttering up the space. Little humans writing about their hobby and craft can't compete with professional full-time content producers, and get pushed out. Now because people can sell things - they do. Sites like Marquise.de and Tudorlinks which collected and shared vintage pattern drafts have given way to sites where reproductions can be bought. There are a million tutorials for everything basic, but it's near impossible to find well-written, in-depth discussions of 201 topics written by real humans, rather than content regurgitators. There's a loss of originality and quality. If you're the best at blogging, maybe you'll get an income? Even a big income?? But every blog I've loved which has started a Patreon has dipped in quality then gone dead very shortly after. And almost by accident, a loss of friendliness, and an escalation of competition. I like the term "attention economy" - readers have limited time and energy, if there's a thousand welt seam tutorials how do you ensure they just read yours? You can put photos of your home-made clothes online, but unlike in the 90s where you'd hear a comforting silence, you'll never be more aware that no one commented, because your clothes are comparatively ugly and your photography skills are bad, and everyone wold rather read [larger blogger in your niche] who has somehow made a success of it. Commerce. Competition. Success. Labour. Work. Personal branding. idk, the internet is not what it was. It's been turned from a playful space, into an extension of the workplace. That has a huge impact on my wellbeing, frankly; on how happy I am when participating online and with other bloggers. I don't feel content or at peace. As the web has become a space where you can make money and brand yourself, it's become a place where you have to compete to participate, and there's an ugliness to that. ...we are all the poorer for this new internet we have created. As you say in your original post - when you started, you relied on (freely shared) Youtube videos to learn how to thread a bobbin. That is my vision, at least, for what the web should be. Not because someone running a $30 online class has done a bad thing personally, but because the web ecosystem as a whole is affected by it once *everyone* chooses to monetise their skills and time. When my religious blog got too big, it got pounced by three other bloggers in the scene. They copied some of my posts and wrote REALLY ANGRY ALL CAPS BAD FAITH DISAGREEMENTS, driving a lot of angry traffic into my inbox, and crushing my sense of safety and my happiness. I don't write there any more. I'm also scared to go to meetups in my town now, the experience imprinted onto my experience of my faith in a really unhappy way. I've thought about this a lot since, and this is what I mean, I guess, by the attention economy. The bloggers who decided to pick a fight with me, half of them had Patreons or sold small-edition books or whatever. I'm a hobby blogger, I write for fun and to meet like minded people to learn and chat with. Suddenly, there was an expectation to compete. If I have [Interpretation A] of a belief, and they hold [Interpretation B], then we're not in a space which encourages discussion and compromise. If my blog gets too big, and if [Interpretation A] gets too popular, I'm actively a threat to their income - I'm taking their "attention", and then what if I start a patreon and people back me instead??? That's the best and only explanation I have for what happened. It has an impact on my menswear blogging, absolutely. I'm frightened to reach out and connect with other bloggers now, depressed by the lack of comments, but also frightened of getting so many that I accidentally stray onto someone's "turf" and they're threatened by it. 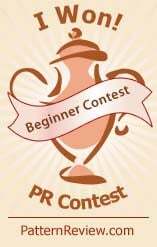 I want readers, but I don't want to be competing with people who are full-time writers and brand managers; I want encouraging feedback for my rubbishy creations, without competing against semi-pro creators. I want to connect with hobbyists, without upsetting insecure Big Name Bloggers who rely on their likes for rent. I want to wall off a bit of the internet as a leisure space, and let people who want to compete compete with each other. One cannot be online without existing in this competitive, branding/money-driven environment, and I hate that. How can we recapture a playful space for hobbyists and enthusiastic amateurs to participate online with one another, and shut the ugly stuff out? I subscribe to sew it academy and really enjoy the classes. They have a pathway dedicated to menswear and each project builds on skills developed in the last project. Starting from making a 'pocket square' apx. 8 projects down the line you're making a shirt from a sloper you've drafted yourself and on the way have made a duffel bag and 'sweat pants' etc. Later comes a trench coat and fashion Illustration etc. I think it's great and good value for money. Thanks, Lewis. That's great to know!